It’s a real pleasure for me coming back to tell you about one of the most beautiful weddings of 2018 season: Laura and Moshi’s Jewish wedding in Rome. 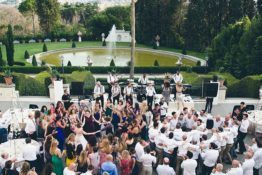 Laura and Moshi are a lovely couple coming from England, who chose the eternal city for their beautiful jewish wedding at Villa Miani. Sarah and Markus are a lovely couple living and working in Dubai who decided to tie the knot in Rome, the beautiful city where I live and work. 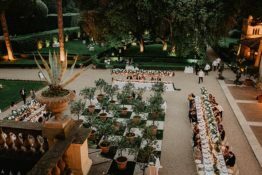 They chose enchanting Villa Aurelia, one of the most beautiful villas in Rome, for their wedding ceremony and reception. 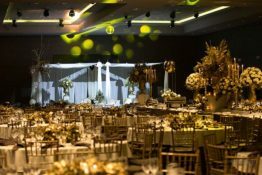 If you wish to organise a henné party the day before your jewish wedding in Rome, you can read our article on Julia and Benjamin beautiful night. Julia and Benjamin are a lovely couple coming from Paris, they decided to have a unique jewish wedding in the eternal city of Rome surrounded by all their friends and family coming from all over the world. 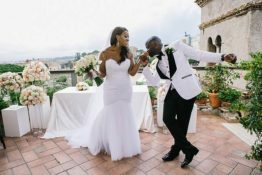 If you are thinking of having your symbolic wedding in Rome, a hotel terrace facing the Roman Forum might be a good idea with a wonderful reception to follow at Casina Valadier one of the most beautiful venue in Rome city center. 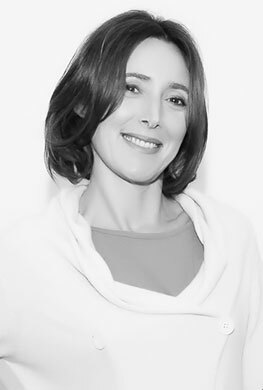 If you are planning your Jewish wedding in Italy , Rome can be a unique choice for an Italian wedding experience, eternal city, great Synagogue, luxury villa and lots of fun and music. Linda and Robert are a beautiful couple coming from Australia, both of them have Italian heritage and they decided to get back to Italy to celebrate their dreamy wedding. They both have strong catholic roots and they decided to get married in the most beautiful and important church of the world: Saint Peter’s Basilica, a place with a great spiritual meaning for them and for all Christian community.